I'm that Curtis Jobling, writer and illustrator. You may know me as designer of "Bob the Builder" (sorry) and creator of "Raa Raa the Noisy Lion" and "Frankenstein's Cat". I'm also the author of the "Wereworld" series of fantasy horror novels and the darkly comic YA thriller "Haunt". Published by Puffin, Penguin US, Simon & Schuster and Egmont around the world. I'm absolutely thrilled to announce that I'm donning chainmail, strapping on gauntlets, hefting a shield and picking up something pointy - I shall be authoring a series of exciting middle grade adventure novels set within the WORLD OF WARRIORS, the new game from Mind Candy, creators of Moshi Monsters. These are going to be wholly original works, featuring characters from the game as well as those of my own creation. Unlike other books-based-upon-games (or films) I'm telling my own tales here, with complete creative freedom, so there's an entire fantasy world at my fingertips, ready to explore. 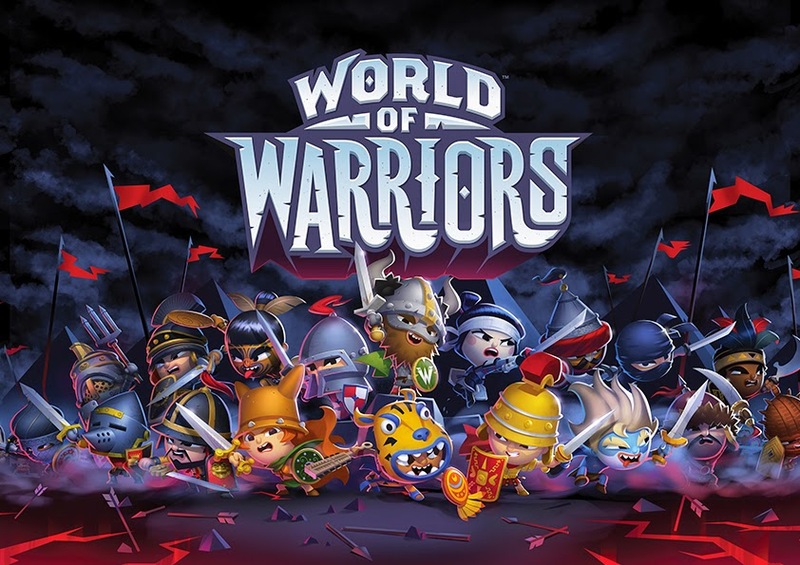 Lovers of WEREWORLD should love WORLD OF WARRIORS too, as it'll feature many of the thrilling, battling and dramatic elements that have made that series so popular. There'll be fantasy in bucket loads, and if the helm fits, horror at times too. Expect warriors from throughout human history, spanning time, continents and cultures, to put in an appearance. You can check out the fabulous WORLD OF WARRIORS website here, complete with a peak at the game footage. As a child I was fascinated by warriors throughout history and roleplaying games, and without a doubt those two themes are married perfectly together with this game. I got to try the game out the other day, thanks to the good folk from Mind Candy HQ, and I have to say in hindsight that was a questionable idea. It's so flipping addictive! I know if I'd played WORLD OF WARRIORS as a 10 year old it would have blown my tiny mind. As a 42 year old it's had a similar effect. Well done chaps. I'm now faced with the challenge of writing the books with the distraction of playing the game looming large at my shoulder like a hulking, brutish barbarian. London, 8 October 2014 … Penguin today announced acquisition of publishing rights in the brand new battle strategy game from the creators of Moshi Monsters, WORLD OF WARRIORS. Richard Haines, Acquisitions and New Business Manager Penguin Children's, has acquired global rights, all languages from Mind Candy. WORLD OF WARRIORS is a brand new game from Mind Candy that will launch this year in six languages on iOS and Android. The mobile game will see players battling it out to bring peace to the vast Wildlands by defeating a power-crazed warlord and his evil Skull Army. Ninja vs Aztec, Knight vs Viking, Roman vs Samurai, the game features a whole host of historical characters all with incredible back-stories. Publishing under the Puffin imprint, there will be a multi-layered publishing strategy for WORLD OF WARRIORS, launching with the Official Guide and Official Sticker books in June 2015. Puffin will also publish a third strand of author-led fiction written by Curtis Jobling, the designer of worldwide hit children's television show Bob the Builder, and the author/illustrator of numerous children’s books, including Puffin’s Wereworld series. 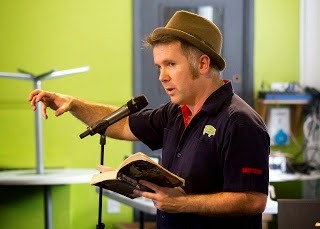 Jobling’s middle-grade novels will be action-adventure stories based within the WORLD OF WARRIORS realm, expanding on details in the game as well as introducing unique characters. Penguin Children’s won Children’s Publisher of the Year at the Bookseller Industry Awards for 2011. It comprises the following imprints: Puffin, Ladybird and Warne. Famous for its classic fiction and beautiful picture books, Penguin Children’s Group started out as a non-fiction publisher with its first title appearing in 1940. Today it publishes a wide range of fiction, picture books and children’s classics and some of the world’s favourite authors including Eric Carle, Roald Dahl, Jeff Kinney, Jacqueline Wilson, Rick Riordan, Cathy Cassidy and Eoin Colfer and popular character brands such as Peppa Pig, Peter Rabbit and The Snowman. It has also paved the way in publishing tie-in books behind interactive brands like Club Penguin, Moshi Monsters, Skylanders and Angry Birds. Penguin have also become experts in the field of publishing YA literature which connects with both teenage and adult readers, including The Fault in Our Stars by John Green, How I Live Now by Meg Rosoff and Beautiful Creatures by Kami Garcia and Margaret Stohl. I'm frequently asked for testimonials for my school events, but I never have them handy. NOW I DO! Take a look at the smattering below. And if you're in cruel mood, you can read the previous blogpost which covers an amusing collection of comments from students as opposed to teachers, librarians and festival directors! "Curtis was one of the most popular authors at the 2012 Manchester Children’s Book Festival and has, to our delight, agreed to join us again this year to help launch our Festival Reading and Writing Relay with an event at Central Library. His talks are always both inspiring and entertaining and, even more importantly, he is a joy to work with." "Curtis was a huge hit when he visited our school. He spoke to nearly 400 students in the Main Hall and successfully kept them all entertained and engaged for a whole hour and a half – no mean feat! His talk was delivered in a humorous but appropriate manner. He spoke with such enthusiasm and conviction about not wasting your creative talents that students couldn’t help but be inspired. Curtis started by talking about his experience of working in the animation business and impressed the boys with his art work, before moving on to his writing career. The finale of the event, “Hairy Man or Wolfman” was a brilliant interactive quiz that the boys just loved. Teaching staff and students alike really enjoyed the talk, so much so that they were still talking about it days after the event. In fact he was so good we got him back again!" "A visit from Curtis is always one of the most entertaining author events I've ever been to. Not only is he a brilliant author and illustrator but the combination of the two elements in his talks has the whole audience, adults and children alike, totally enthralled from start to finish. His wit and humour and interaction with his audience guarantee no session is exactly the same. As well as all this he is a great bloke, no prima donna author, making a day with him more than easy for any school or library, I would heartedly recommend him." "Curtis has visited us on a couple of occasions and his workshops are always memorable and exciting! Last time he took us on a whirlwind tour of his experiences as an illustrator and as an author – all of which served to inspire and motivate the children – they loved it so much they were talking about the workshop and his books for weeks afterwards! Most importantly for us, as teachers, Curtis’s messages to the children, regarding reading and writing, fully supports our teaching and has inspired the children to apply the skills they’ve learnt, from his workshop, to their own work." “Curtis has now visited our school twice. We were so enthralled by his first visit that we had to invite him back again this year as part of our World Book Day celebrations. 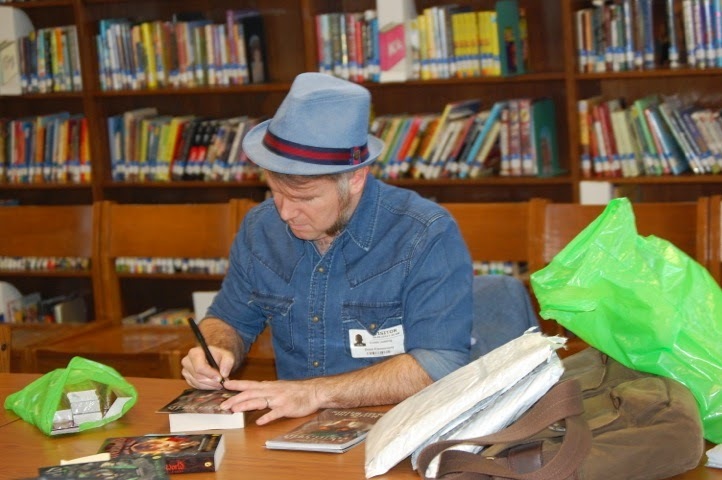 Students (and staff) were captivated hearing him talk about his work as an Author and Illustrator and about his love of Animation. His wealth of experience and ease of manner has made him very popular with our students. We found his talks hugely entertaining and many students returned at lunchtime to chat with him and have their books signed. Born in Blackpool and raised in Warrington. Designer and creator of various animated shows including BOB THE BUILDER, FRANKENSTEIN'S CAT and RAA RAA THE NOISY LION. Author of the WEREWORLD series, HAUNT, WORLD OF WARRIORS and MAX HELSING novels.